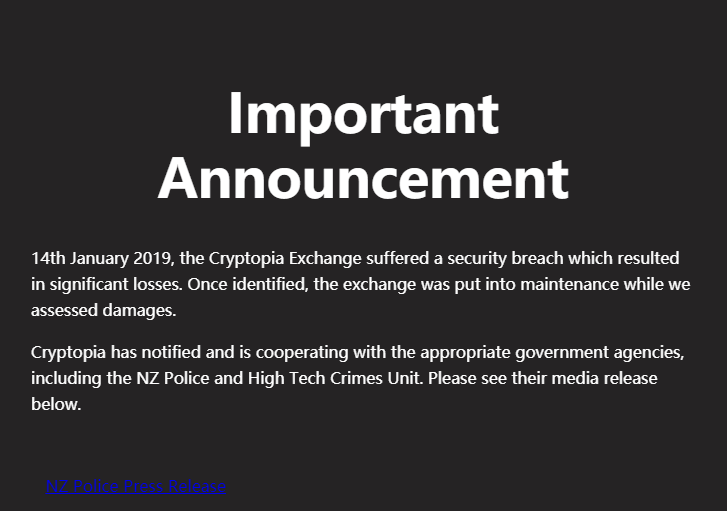 Recently, Cryptopia (Cryptopia Exchange) suffered from serious security vulnerabilities. Cryptopia has been shut down for maintenance and the exchange has suspended its services. Because many ETN and GIN miners use the wallet address of Cryptopia as their mining address, F2Pool will suspend the revenues payment of ETN and GIN from January 22 to avoid loss. After all Cryptopia wallet address users have replaced their ETN and GIN mining address, we will resume payment on January 25 and announce in advance.